Jeffrey M. Levsky, MD, PhD, is Interim Director of Research in the Department of Radiology at Montefiore and an Associate Professor of Radiology and Medicine at our Albert Einstein College of Medicine. Dr. Levsky has been a member of the Montefiore team since 2009, with a clinical focus on cardiothoracic imaging, coronary CT angiography, and cardiac magnetic resonance imaging. Dr. Levsky attended our Albert Einstein College of Medicine, where he received his Doctor of Medicine, Masters of Science in the Department of Anatomy and Structural Biology, and Doctor of Philosophy in Molecular Imaging. 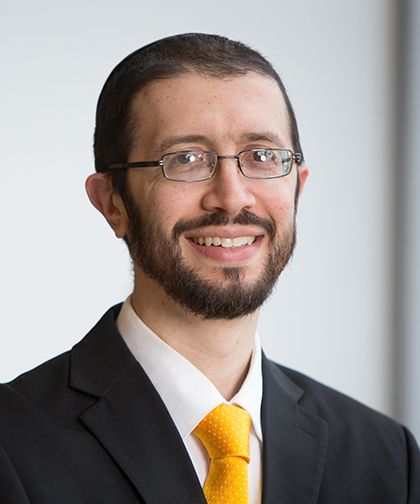 Dr. Levsky completed his residency in diagnostic radiology at Montefiore in 2009, followed by a clinical and research fellowship in cardiothoracic imaging, also at Montefiore, ending in 2010. Dr. Levsky’s research group focuses on the effects of cardiothoracic imaging on patient outcomes. His team has conducted randomized controlled imaging trials involving acute chest pain patients. Dr. Levsky has a vast bibliography of research, which includes published work in reviewed journals and books, as well as a number of international poster presentations and lectures. In 2016, Dr. Levsky received the Young Faculty Research Award from the New York Roentgen Society. He is board certified in Diagnostic Radiology and is an active teacher and mentor for medical students, residents, fellows and junior faculty.